It has been a long time since I last took part in a bento hop with my fellow Bento Bloggers & Friends. For the benefit of those who are new to this, a bento hop is when a group of bento bloggers get together and create certain thematic lunches. Then we schedule to post them at the same time on our individual blogs and include a hop button. Readers can simply move and hop from one blog to the next to see all the lunches by clicking on the hop button. It's a great way for you to get many ideas related to a certain theme. 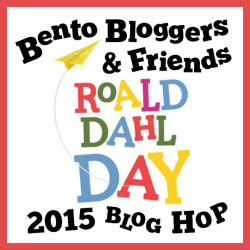 This is the third time I'm taking part in a Roald Dahl themed bento hop. You can check out my creations from previous years here. This year, I decided to make Matilda. Matilda is my second favourite book by Roald Dahl, my favourite is Charlie and the Chocolate Factory. We own a couple of Roald Dahl's books but not Matilda. The boys didn't want me to buy the book simply because it's about a girl. But they did read a copy of the book, which I borrowed from the library a few years ago. 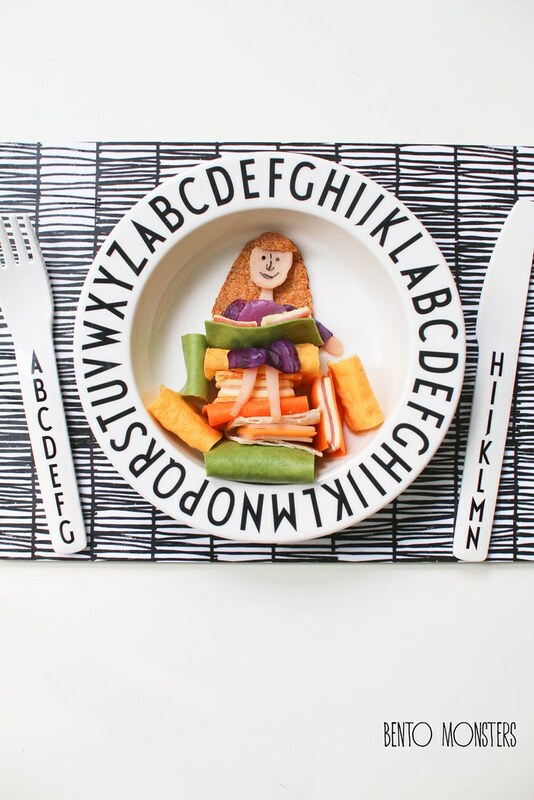 This Mathilda food art was made out of ham and cheese wrap. The coloured wraps were soy wraps made from spinach, carrot and turmeric, the wraps were filled with ham and cheese. Mathilda's hair was made out of a toasted wrap and I used red cabbage for her dress. 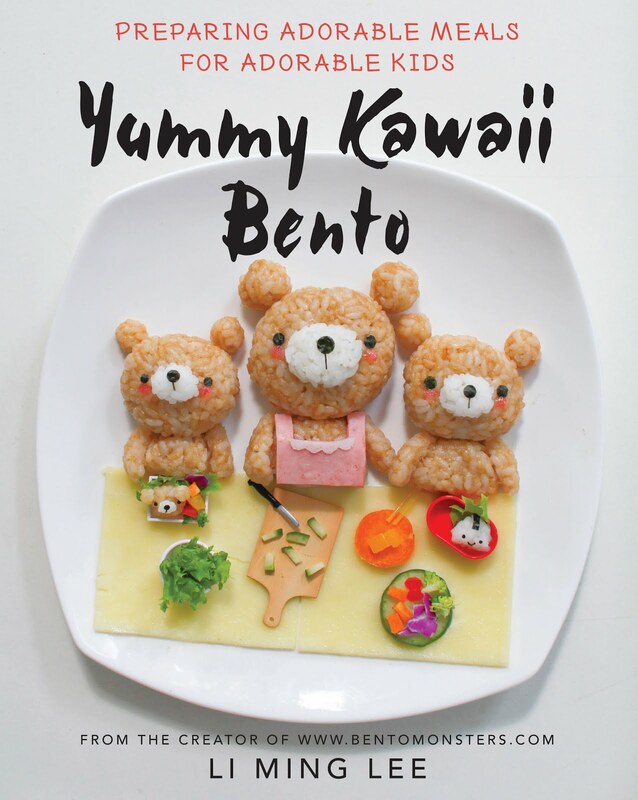 I made this just before I took a one week bento break, as my boys were having their school holidays. I've to confess I was not happy with how this turned out, I can't really pin-point what is wrong, it's just different from what I had visualize. I was contemplating whether I should drop out of the bento hop as I would not be able to rush out another one in time. But in the end, I decided to still share it, since I already made it. A work of art! Fabulous! What a wonderful lunch! 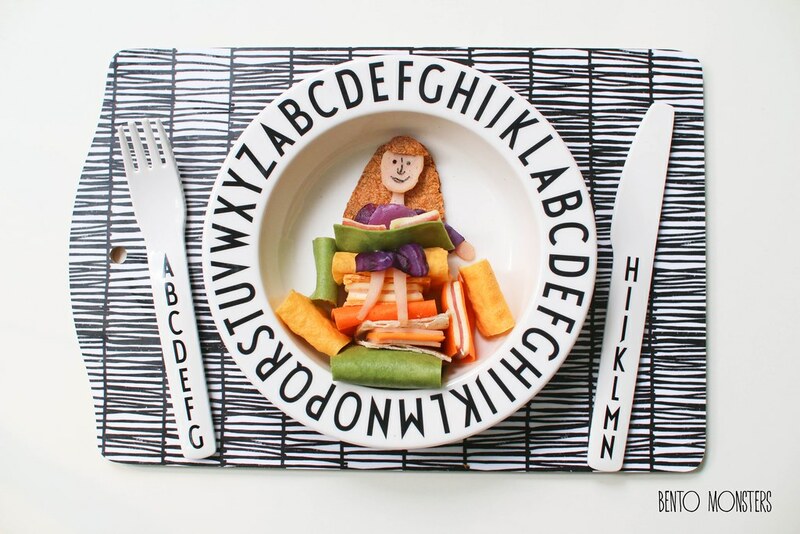 I love Matilda! I adore your Matilda - and it is one of my favorite Dahl books!! Beautiful! Your Matilda is certainly a work of art, not just food art. Love it! I think its great! Love the little books. And I love, love, love your new blog design, so cute! 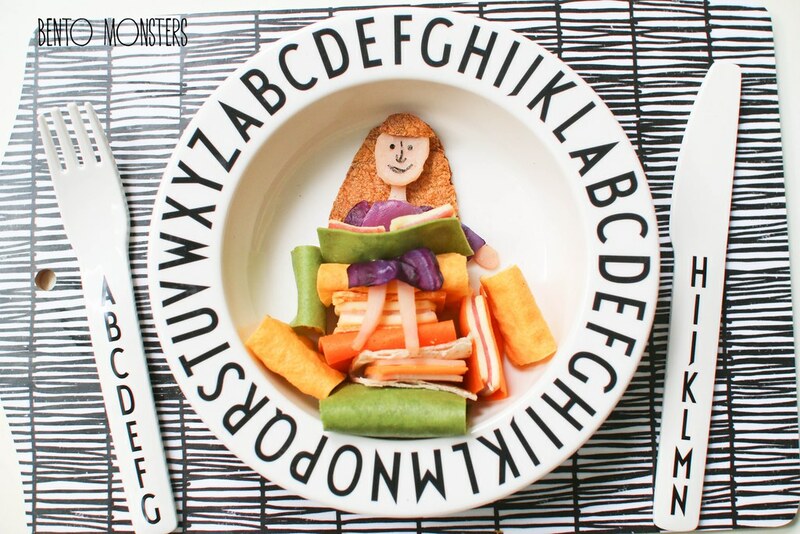 Super creative food art, I especially love the book! Very creative! I loved reading Roald Dahl books in my school days.